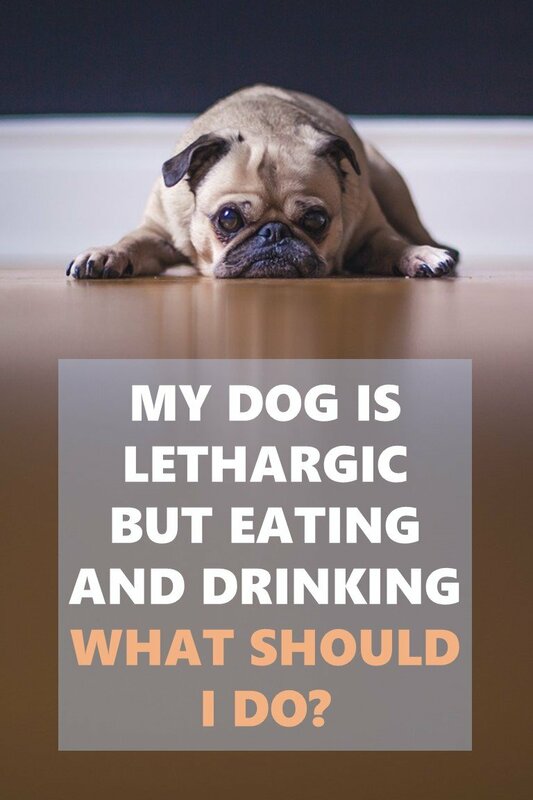 If you’re asking yourself “My dog is lethargic but eating and drinking, what should I do?” We have the answers you need. Weakness and lethargy are vague symptoms but nonetheless are very common in dogs. Lethargy is the feeling of being sluggish, drowsy, and lacking in energy. Lots of things can make your dog feel this way but these symptoms could also be the signs of a more serious illness. You might notice that your once vibrant dog isn’t its usual peppy self. Or perhaps your dog has lost interest in playing or going for walks. This can certainly cause panic for any dog owner. Sometimes your dog might be feeling a bit lethargic because of hot weather or maybe they’re just tuckered out from a long play session the previous day. However, lethargy and weakness can be signs that something isn’t right. 2 Is It Normal? Should I Worry? 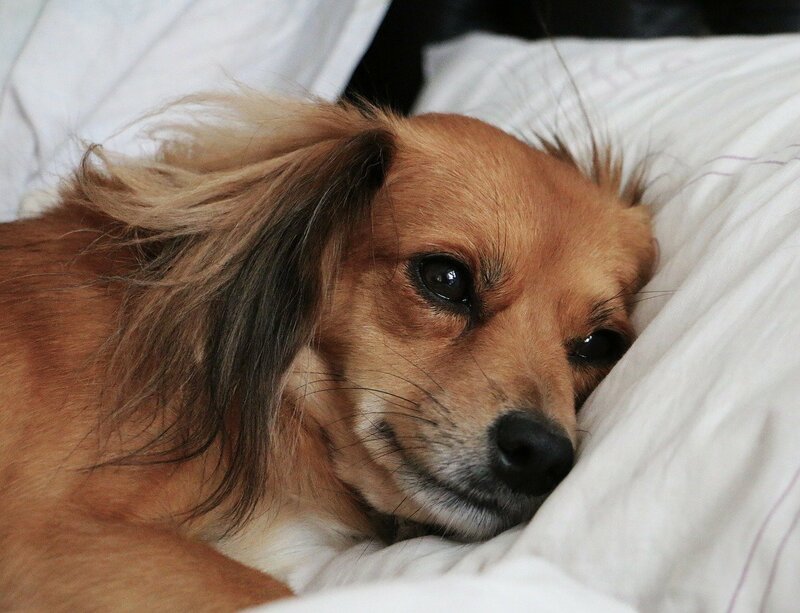 Any sort of infection can make your dog feel lethargic — it’s best to seek attention from your veterinarian if you think your dog might have parvovirus, kennel cough, distemper, or heartworm disease. If you notice any of the signs listed below — make an appointment with your veterinarian right away. Parvovirus: This virus is spread through feces. In addition to lethargy, other symptoms may include: diarrhea, vomiting, and/or tummy pain. The vet will most likely prescribe an aggressive round of antibiotics. Kennel Cough: This is a very contagious respiratory disease often contracted at dog parks, daycare facilities, training groups, or dog shows; anywhere that a large amount of dogs congregate. Along with lethargy, your dog will have a very distinct and noticeable dry, honking cough. Your dog may also have a fever. After diagnosis, the veterinarian might opt for cough suppressants and antibiotics. Distemper: Symptoms of distemper can range from dog to dog, however, lethargy is a common sign of this illness. Your pup may also experience a fever, discharge from their eyes and nose, and coughing. Fluids and antibiotics are common treatments for this contagious virus. Heartworm Disease: This disease is, like the namesake, caused by heartworms which can enter your dog’s bloodstream through mosquito bites. Signs of this disease can be lethargy, weakness, and depression. Heartworms are fully preventable with injections or oral medications. Treatment for the contracted disease will be a series of shots and a strict rest regimen. If you have a puppy or newly adopted dog, work with your veterinarian on getting a preventable course of action in place. It’s important to keep human medications or supplements out of your dog’s reach. Common household medications, such as ibuprofen, are toxic to dogs. Even common household ingredients like garlic or chocolate can mean major consequences for our furry companions. They can lead to lethargy, weakness, or even death. If you suspect that your dog has ingested any human medications — call the Animal Poison Control Center at (888) 426-4435. There are a wide range of diseases and conditions that can make your dog feel sluggish or weak. These diseases can include (but are not limited to): heart issues, hypoglycemia, diabetes, or liver problems. Heart Problems: If you notice that your dog has become less tolerant of exercise or activities, this could be the early sign of heart disease or congestive heart failure. At time passes, you may notice that your dog has a loss of appetite and changes in breathing. Treatment of this disease will depend on how far along the condition is in your dog. Talk with your vet immediately. Hypoglycemia: Hypoglycemia is the medical term for low blood sugar — the opposite of diabetes (more information below.). This condition can make your dog very weak and even lead to seizures. You will need to talk with your vet about a treatment plan — but it could possibly include administrations of intravenous glucose or oral corn syrup. Diabetes: Lethargy, excessive thirst, or sudden weight loss can be symptoms of diabetes in your dog. Diabetes can be managed with a proper treatment plan including injections and diabetes-specific diet. Liver Disease: This is a very critical disease that will require immediate attention. Symptoms of liver disease are: lack of energy, weakness, abdominal bloating, and jaundice (yellowing of the eyes and skin.) Treatment may include medications, change in diet, or even surgery. A lack of energy may also be due to a change in your dog’s environment or family situation. Dogs are sensitive creatures and may exhibit lethargy simply because of stressors in their lives. Perhaps there’s been a death of a family member or possibly a close family member (like a child in the household) that has moved away. 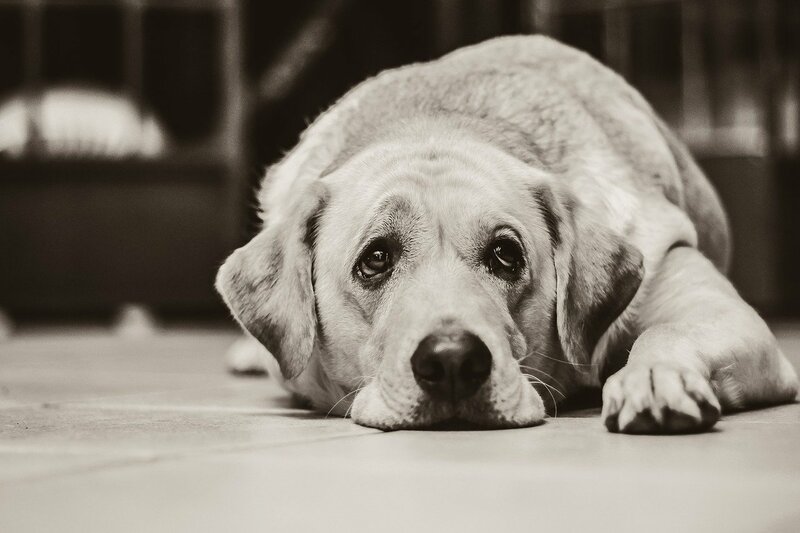 Loud noises like fireworks, smoke alarms, or gunshots can also be potential triggers for lethargy as it causes serious mental distress in some dogs. If there has been a major change in your dog’s environment — your dog may just need some time to adjust or calm down. If their energy doesn’t seem to return to normal after a while (a day to three days) — call your veterinarian to rule out anything more serious. A dog’s body is made up of 80% water — your dog will become increasingly weak or lethargic if their fluid levels drop. It’s important that your dog retains fluids as they aid in digestion, circulation, and other bodily functions. If your dog has been vomiting or experiencing diarrhea — both of which cause serious dehydration — it’s crucial that you make sure they get adequate amounts of water to compensate. Overheating in hot weather can also cause your dog to become suddenly weak and tired. Heatstroke is caused when a dog’s body temperature becomes abnormally high. A normal temperature for a dog should be around 100.5 to 102.5 degrees. Get your dog inside to cooler temps and encourage water intake if you suspect your dog is experiencing heatstroke. Just like us humans, diet and nutrition play a huge role in how our dogs act and feel. A dog that eats a balanced and nutritious diet will be full of energy and life. Vitamin or other nutritional deficiencies can lead to a lack of vitality and energy. To keep your dog in tip-top shape and full of energy, make sure your dog is eating a balanced diet of proteins, carbohydrates, vitamins, and minerals. Always check food labels and work with your veterinarian to put together a tailored nutrition plan for your dog. Ingesting poisonous substances like antifreeze, chemicals from lawn supplies, or fertilizers can drastically and rapidly change your dog’s energy level and behavior. Make sure to keep these toxins far out of reach from your dog at all times. If you suspect your dog has ingested a poisonous substance — seek medical attention immediately and call the Animal Poison Control Center at (888) 426-4435. Is It Normal? Should I Worry? Lethargy can be caused by many varying situations or conditions; therefore, it’s extremely important to be aware of any other accompanying symptoms. You’re a dog parent — of course you’re going to be concerned or worried if your dog suddenly has a change in behavior. That’s normal. But don’t stress over it just yet. If your dog is suddenly acting a bit more “lazy” or less energetic than normal — it could just mean that they’re worn out, tired, or sore from the previous day’s activities. Perhaps it’s just the fact that they are getting used to a new or changed environment. If the lack of energy continues on for more than a few days, especially with any additional symptoms mentioned above, please be sure to consult your veterinarian immediately.